Last week on The Corbett Report we considered the possibility that the recent protests in Iran have been assisted by the US, Israel and Saudi Arabia, all of whom are actively plotting against the Iranian government. As I detailed in that report, the idea only sounds outlandish to those who are ignorant of the history of repeated interventions by foreign powers in the internal politics of Iran. The joint British/American intelligence operation to overthrow Iranian President Mohammad Mosaddegh—codenamed “Operation TPAJAX” and led by Kermit Roosevelt, Jr.—was a textbook example of how such operations proceed. It is not that the protest movement against Mosaddegh was created out of whole cloth; rather, it was the CIA’s job to take a nascent protest movement, a small minority of people within the country already angry at Mosaddegh, and then to fund, equip, enlarge and inflame that movement, greasing the skids to the eventual transfer of power with millions of dollars in cash and promises of further support. Aaron Maté: And Roosevelt proceeds with a plan that involves rented crowds of people, right? Maté: Can you explain that? Byrne: Yeah, well, this is a big aspect of Iranian politics. Anybody who’s who’s been around the last, you know, thirty years or so will be familiar with with televised scenes of huge crowds in Iran, whether it’s when the Ayatollah Khomeini returns to the country after exile or things of that sort. And crowds are, you know, our key element going back decades in Iranian politics. Things are just generally unstable enough that if you get enough people out there you can you can really change things around. So that was always a key part of the plan was there were several aspects to it but one of the keys was to get these crowds out there any way you can and the and make it look like the Shah has everybody’s support and we hope we’ll carry the day. In fact, from an intelligence point of view, the coup against Mosaddegh was a remarkable success beyond all expectations. The operation required only a handful of on-the-ground operatives, seven million dollars in bribe money for the rent-a-crowds, and the complicity of the bought-and-controlled corporate media at home. In fact, although the role of the CIA in helping to organize the protests that led to the overthrow of Mosaddegh has been known for decades, it wasn’t formally admitted by the Agency until 2013, 60 years after the fact. Just last year, the State Department released a slew of new documents describing in greater detail how Roosevelt and his agents used rent-a-crowds to boost the support for the Shah and give the impression of a popular uprising. But that was then. This is now. How can an outside power intervene to stir up protests or incite violence in a targeted country in the modern day and age? For an example, we need look no further than the Euromaidan protest in Ukraine in 2014. The Maidan protests, too, involved a mass uprising against a government targeted by the Western powers, and they turned deadly when snipers began firing into the crowds, killing both police and civilians. That both sides were targeted in the shootings makes no sense from a strategic perspective, unless the purpose of the shooting was actually to escalate the violence and drive the protests to their eventual conclusion: the overthrow of President Viktor Yanukovich. Nevertheless, mainstream media in the west immediately blamed the sniper fire on the Ukrainian police. But from the beginning, the evidence contradicted this account. Shortly after the deadly sniper incident, Estonian Foreign Minister Urmas Paet discussed his own findings on the attack with an audibly shocked Catherine Ashton, foreign affairs chief of the European Union. Urmas Paet: All the evidence shows that the people were killed by snipers from both sides – among policemen and people from the streets – that they were the same snipers killing people from both sides. Paet: And then she also showed me some photos. She said that [she’s a] medical doctor, she can, you know, say that it is the same same handwriting, the same type of bullets, and it’s really disturbing that now the new coalition that don’t want to investigate what exactly happened. So there is now a stronger and stronger understanding that behind the snipers, it was not Yanukovich, but it was somebody from the new coalition. Ashton: I think we do want to investigate. I didn’t pick that up. Interesting. Gosh. An extensive study of eyewitness reports, ballistic trajectories, radio intercepts, photos and videos of the attacks by Ivan Katchanovski of the University of Ottawa concluded that the sniper fire was in fact conducted by elements linked to the opposition. But late last year, a Ukrainian courtroom became the stage for the most startling confirmation of this version of events. News anchor: Three years ago, mercenary snipers from Georgia fired on protesters on Maidan Square. Today, their guilt has been proven in court in Kiev. The attorney of ex-president Yanukovych revealed the story of the people who got paid for mass murder. There is footage of the massacre among the evidence. The mercenaries even agreed to testify in court. Alexander Goroshinsky: Their goal was to instigate a conflict between the protesters and law enforcement using firearms. Witness Koba Negadze was at the Ukrayina Hotel and saw snipers firing at both protesters as well as law enforcement officers. The plan is as devilish as it is simple. Use indiscriminate murder and violence as a way to escalate a conflict and drive an agenda. In this case, the atrocity on the Maidan Square made negotiations between the protesters and the Yanukovych government impossible. But Maidan Square was by no means the first time that this strategy had been employed to generate such a crisis. The Syrian government, like the government of President Yanukovych in Ukraine, found itself in the crosshairs of the Pentagon. In a program reminiscent of Operation Ajax, the Bush administration began funneling millions of dollars to opposition groups in Syria in 2006, and, just like in Iran in 1953, these funds eventually paid off in the form of a “spontaneous” protest movement in the city of Daraa in March 2011. We are told that the Syrian “civil war” began on March 18, 2011, when Syrian security forces opened fire on “peaceful” anti-government protesters. Never mentioned in this mainstream narrative, however, is that one of those shot that day was, in fact, a policeman, and that in the ensuing days several more policemen were killed by rooftop snipers who were firing at protesters and police indiscriminately. Not coincidentally, these events began to unfold just after the appointment of Robert Ford as US Ambassador to Syria. As Professor Michel Chossudovsky of the Centre for Research on Globalization explains, Ford, having served time as the number two man to John Negroponte at the US embassy in Baghdad, was no stranger to the use of death squads and paramilitary troops as a means of generating a political crisis. Michel Chossudovsky: If we go back to February or January of 2011, we have—in fact, I think it was [the] end of January—Robert Stephen Ford is appointed US Ambassador [to Syria]. I happened to be in Damascus at the time of his appointment. I spent two months in Syria in the two months preceding the outbreak of the insurrection. But Robert Stephen Ford is a very important figure in an understanding of what happened. Robert Stephen Ford was the number two man in the US embassy under John Negroponte. And as we know, John Negroponte has a whole personal history of supporting and creating death squads, going back to the heyday of central America. He was based in Honduras. He sponsored the death squads in Honduras and Nicaragua. So we’re going back to another era. But he was brought to Iraq precisely to create those death squads and also to insert the death squads in the Iraqi police. Who was his number two man? Robert Stephen Ford. And Robert Stephen Ford, in fact, played a far more crucial role than Negroponte because he actually speaks Arabic and he speaks Turkish and he was also in contact with the various factions in Iraq. And then Robert Stephen Ford—actually after a stint in Algeria—turns up in Syria. He’s a key State Department official. He played a key role in the process of recruitment of these death squads modeled on what had been applied previously in Iraq, and also modeled on what was called the “Salvador Option” in central America. So it really is the application of the Salvador Option to the Middle East. And if we look at the track record of the rebel forces in Syria, we can see that the same training process applied. These are killers, and they are there to kill civilians. They have a certain pattern of executing people who are Shi’ite or Alawite and then they also have procedures for executing what they call the “traitors” within the Sunni community. And then what was applied was the concept of ethnic cleansing in all the Christian communities in Syria. But the fact of the matter is that these death squads were set loose in a sovereign country with a view to destabilizing civil society. Killing people was the basis for that destabilization. The destruction of buildings and residential complexes and so on was part of it. That provocateured violence and carnage are handy tools in the hands of deep state operatives looking to destabilize foreign governments is, by this point, self-evident. But what if you are a totalitarian tyrant looking to quell domestic dissent? Never fear! Just because these tactics can be employed to overthrow governments abroad doesn’t mean they can’t be used for smaller scale operations at home. In 2007, undercover Quebec provincial police infiltrated the peaceful protests at the Montebello Security and Prosperity Partnership Summit. The masked undercover officers were spotted with rocks in their hand approaching the police line, but when called out by one of the protesters, were then “arrested” by the police and taken away. Within days, the government was forced to admit that the men had indeed been undercover police officers. Ian Hanomansing: It was stunning video posted on the internet for all to see, and it came with a charge: That police masqueraded as protesters at this week’s Montebello summit to incite violence. Tonight an equally stunning admission from Quebec’s provincial police. Susan Bonner reports. Dave Coles: These three guys are cops everybody! Susan Bonner: Busted! Three Quebec provincial police officers, identities masked, one carrying a huge rock. Nabbed for infiltrating a peaceful protest at Montebello. The tip off came from a union leader who noticed riot police standing by despite the obvious weapon. He accused the men of being undercover cops trying to provoke a riot, and then the protest. The men were removed, but never charged. After two days of questions, the Sûreté du Québec issued a news release late today confirming yes, the men are police officers, but denying they were agents provocateurs, claiming they were sent in to identify and stop trouble. And so when it came time for Toronto to host the G20 summit in 2010, Dan Dicks of Press For Truth confronted Toronto police spokesman George Tucker about the possibility that similar provocateur tactics would be used there. Tucker’s response was hardly reassuring. Dan Dicks: In 2007 there was a summit that was held in Montebello, Quebec, where three Sûreté du Québec police officers were caught as agent provocateurs. They were dressed as aggressive protesters with rocks in their hands in an attempt to incite violence. George, as a representative of the Toronto Police can you assure us that the Toronto Police Force will not engage in any police agent provocateur activities at the G20 summit. George Tucker: Other matters, security matters, I’m not at liberty to discussed those in an open format. And, predictably, when the G20 rolled around, the police were up to their old tricks. “Protesters” who had been outed as undercover cops were caught running behind police lines, protected by their fellow officers. Crowds of identically-clad “black bloc” protesters were allowed to rampage through the streets for hours on the first day of the protests so that a clampdown could begin the next day, resulting in the largest mass arrests in Canadian history. And in one incident that became the iconic image of the Toronto G20, police carefully parked and deliberately abandoned a police cruiser in the middle of the protests and then allowed the masked “protesters” to smash it to pieces and set it on fire, letting it burn for hours in full view of the cameras of the mainstream news networks. Bryan Law: As you’re seeing behind me, the black spots on the pavement from where the police cars were burned yesterday by alleged anarchist groups down here on Queen Street West and Spadina. Now I was here filming the event as it took place when those police cars got left. I think an important note to make is that the police cars were driven in by police, which then, they got out of the police cars, surrounded them in a “C” formation with a number of riot cops, and then the riot cops backed off and left the police cars there. And I filmed it after the police cars were left, there was one on either side of the street. Both of the police cars were being destroyed incrementally by various protest groups, but they weren’t lit on fire for about six or seven hours. These cars were left here for six or seven hours on this street. Now, the police have tow trucks. They have tow trucks that are paid for by our tax money with the billion dollars that they’ve been spending for security. Six or seven hours they were left here on the street, and then about 6:00 p.m. the cars were allegedly lit on fire by anarchist groups. They were also left to burn after they were lit on fire. They were left to burn for nearly an hour until the cars were nearly molten metal on the street. Now, the police had every opportunity to call a fire engine down to put these fires out, to cordon off the area to get these vehicles out of here, but they needed some sort of a reason to crack down on people all over the city. Now we’re seeing arrests all over the city. We’re seeing detainment. We’re seeing people going into people’s houses. And this is all caused by these alleged groups that lit a few police cars on fire. They wanted to leave this happening as a photo opportunity to discredit legitimate protesters that were protesting the g20. There’s over 500 people now in the film studios down there that are being detained unlawfully, against our Constitution, against our Charter of Rights and Freedoms, and against the right to free speech and the freedom to stand up for what you believe in in this country. In 2016 the Ontario courts finally granted the ability for the more than 1,000 peaceful protesters illegally detained during the summit to join a class action lawsuit against the Toronto police force, but that appeal was then dismissed by the Supreme Court at the urging of the police board. The top-ranking officer who ordered the illegal mass arrests, Supt. Mark Fenton, was found guilty of professional misconduct for his actions, but that only led to a reprimand and the loss of 30 days paid vacation. In the end, the engineered crisis worked perfectly. The images of the flaming cop car played across the mainstream propaganda channels all weekend, “justifying” the kettling and mass arrests of over 1,000 peaceful protesters in the minds of an easily-duped public still enthralled by the narrative of the mainstream media networks. One officer received a slap on the wrist, and no one was ever charged, let alone prosecuted, for the use of undercover provocateurs who instigated the violence in the first place. To be sure, this is by no means a strictly Canadian phenomenon. At the 2009 G20 in London, a tiny group of masked individuals who the media identified as “protesters” stage managed a carefully contrived smashing of the windows of an HSBC branch for a gaggle of press photographers who in fact overwhelmingly outnumbered the so-called protesters. Not caught on their cameras was any sign of any of the police that were prevalent at all times and all areas throughout the G20 demonstrations. And in 2008 the Denver Post reported that undercover Denver Police dressed as protesters had instigated a struggle with uniformed police that resulted in 106 people being arrested and an indiscriminate pepper spray attack against the assembled crowds. Time and again, in country after country, engineered crises have been used to further the goals of deep state agents and would-be tyrants. Undercover forces are sent into situations to stir up crowds, instigate violence, raise tensions, and justify the next move on the chessboard, whether that be the toppling of the government or the delegitimization of peaceful protest. And time and time again, with controlled media organizations on hand to document the events in a biased and uncritical manner, these engineered crises have helped these operatives accomplish their mission. So don’t worry. The next time you need to engineer a coup, whip up a violent movement, or clamp down on dissent, just know that you are only one engineered crisis away from achieving your goal. Unless, of course, the public wakes up to the trick…But since this guide to engineering crises is our little secret, that’s not going to happen any time soon. Is it? This is a super important report! The real and personal integration of this information into any viewer’s consciousness will be transformative. It is an excellent and important response to the malicious Mockingbird-disinformation so intensely being bandied about in local daily corporate news reporting and “special reports” by “serious” news sources. Footage of the Montebello Submit protests (12:40) is disappointing in that the identity of the criminals (police officers) that were infiltrating as agent provocateurs was not exposed. It would have been easy to non-violently tug down their loosely fitting face scarves. These people are after all essentially thugs no different than Hitler’s brown shirts; and they should be held accountable for their disgusting criminal behavior. Another example of this disinformation machine is PBS’s Frontline brand (amongst the “most trusted news sources in America”). Frontline’s dishonest reporting (fake news) on what really went on in the Ukraine with the criminal deposing of PresidentYanukovych is an absolute disgrace. The U.S. Empire’s support of neo-Nazi forces that murdered both civilian protestors and municipal police in order to create mayhem and an excuse for further military force and cinch the deposing of the duly elected President was an Act Against Humanity. Obviously this Corbett Report is not on the humorous side of things (which of course a lot of people find easier to handle and digest) but it needs to go viral just as did 9/11: A Conspiracy Theory (https://www.bitchute.com/video/V4bSS5Bwn38V/). Better said cannot be found. Yeah! Now you are getting wet. Excellent dissection of the kakistocrocy means to an end. Why does law enforcement buy in? They are mostly ex-military now, I suspect by design. They already have been psychologically softened . I suggest city’s should exclude or at least limit rank and file to civilian candidates or a small proportional representation of ex-military. Like a lot of hard nose agencies, the rank and file are really never ex. They are continued thur reserves and weekend soldiers. Talk about circle the wagons. It is truly impenetrable. Thank you James and company. Much better than the others! YOU ARE ASENDING TO A SINGULARITY. WELL DONE!!!!! 1) Lots of above board perks (like Federal $$$ weapons and parties) for those who get Federal Training and toe the Federal line. Sheriff’s departments are a little harder to control though. This is where young people interested in defending local freedom should try to join and infiltrate. And of the history of repeated interventions “by foreign powers” — i.e. the US and the Anglo-American Intelligence agencies — in the internal politics of the Congo, Guatemala, El Salvador, Nicaragua, Chile, Vietnam, Mexico, Venezuela, Brazil, Argentina, Afghanistan, Libya, Syria, Egypt, Iraq, Chechnya, the Ukraine and, really, this is just where active regime change has been sought by those intelligence agencies. What country could be kept OFF this list with interference so broadly stated, even by just those same agencies? I forgot Honduras. And many other countries, of course. Thanks for reminding me of Robert Stephen Ford. I’ll get over it somehow. A multi-lingual disciple of John Negroponte in the Middle East. Appointed to bring death squads to the region by Nobel Peace Prize winner, President Obama, under protection of the very political class supposedly aghast at what Negroponte did in Central America and Iraq under Republicans. Can’t wait for what the Soothing Liberal Relief from the Big Bad Trumper has in store for us! Look for a Robert Stephen Ford as mayor of your city. If one isn’t already. The bravery of these men, in the face of such ugly resistance to their brutality, is inspiring. But to be fair, Profiles in Courage, itself, was done in Kennedy’s name, by Ted Sorensen. By the way, “freed” slaves actually WON their freedom in war. Efficient and effective troops, hyper-racist Lincoln admitted slaves were essential to victory. Many were armed and organized by the war’s end, and NOT to “emancipate” their families legally would have been impossible by then. Those troops were disbanded, unfunded and mostly de-fanged by the time the “40 acres and a mule” promise was broken. The linkage of free coinage and precious metal and currency rights to Southern anti-reconstruction (and virulent racism, right up to the Hunt brothers and the JFK assassination) was a big part of the left/right paradigm illusion that obscured my own view of history for a long time. Soooo… many people call it “the Ukraine”. As always, spot on. Keep it coming, James. Negroponte… in his Honduran days… the Dickensonian touch is striking… more like “Negromano”, or “Black Hand”, would be more accurate. “THEY” got their world government through coercion and manufactured consent. With our nearly cashless society, conflict as a route or remedy has been bypassed…likely to be extinguished with a flip of the money switch before an organized uprising could ever ignite. This is how 7,000 control 7,000,000,000. CHAOS from below works better! 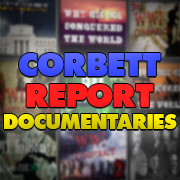 This Corbett “crisis” video and the Iran video are excellent tools for us to use when informing others. I am thrilled to have these. I have been very, very busy lately with life, work, etc. A big “win for our side” was a string of Fluoride articles in a Dallas Black oriented newspaper. 3 articles in a 8 days. We have been working on this newspaper for about three months. Note on the local Fluoride website how the message is currently focusing towards minorities. Bless me father, for I have sinned; I covet punching Randy Johnson in the face. Or is it “forgive me father?” I’m quite behind on my dogmatic beliefs and colloquial expressions. Of course, this is not to be treated as an admission, but proof of acute lack of intelligence. I think GWB was shrewd as hell and a weird word poet, in his own twisted but artistic way. These guys had their psyches thoroughly blown in childhood training, as gofers and trickster warriors for their ruling class, (and the Fellers and Childs above them). They are “illumined,” in a terrible way, and not without insights into the way the world works, believe me. GWB employed a “hide in plain site as a funny evil clown” ruse. I think he got his own pun and is enjoying it. I must admit, so am I. If all of that is just a ruse, the man is a freaking genius. I’ll go with SHREWD idiotic evil freaking genius. He got everything he was put there to get. 911 covered up. Wars started. Military/Police Intelligence expanded. Infrastructure further decimated. Economy further wrecked. Budgets intentionally ballooned. CHAOS instigated (from above, of course, not below). Most importantly, he got the acceptance of those who matter and the contempt of those who don’t. He had a lot of help; they all do, once anointed. But he pulled it all off. He took us to the cleaners, and kept us angry but laughing like hell the whole time. Mkey and John-o, you may be right! Now think “yeow,and your going to get wet !”. These childern of monsters delight in rubbing it in your face. I had a few in my class in private school. I was on scholarship and really had trouble figuring out these children of excess privilege. They where bing-bong mickey ficky crazy in social interactions with (what I call) normal young adults. One thing common was how they communicated. You could never trust them at face value , on anything! I got burned more times than not. Boy was I nieve at University. They play at a certain level, but they are not the only ones to play this game of underestimation and distortion. Think of the pool shark, who plays fast and loose and funny over a couple of beers and a few small bets that he mostly loses, but when a thousand bucks goes up for grabs, in what seems like a foolish drunken bet, he cleans up the table. GWB played like a fool, but he got it in the hole when it counted. That is, in our holes where it counted. I think George likes his liquor still. About 8 or 9 years ago, I and our 9/11 group marched along with Cindy Sheehan to George Bush’s House. I’m holding the camera. It’s amazing that you managed to hold off from burning some cop cars and demolishing the shopping district. Homey Remedy, Supply me with some much needed advice. Tomorrow we have a MLK day parade to go to. To relieve the cabin fever honor Dr.King and help bring attention to William Peppers book, want to make a sandwich board. Tulsa, Im afraid is totally unaware of Mr. Peppers work. I did a straw poll at the basketball game last night. T.U.played Wichita State and was a sold out arena and I must have approached 10 people I knew and an additional 20+fans , also any ushers and workers, which were actually easier to approuch, if they had heard of William Peppers work. Who they thought killed Dr. King.ZERO had ever heard of him. All said Ray was the killer. Now, I thought of you and the message and what you would put on the sandwich board. The numerous signs and placards caught my attention in your video of the parade of protestors. I know what not to say, because Tulsa is the most racist city in the mid-west, white or black origin. I don’t want to get beat up or misunderstood or appear disrespectful of Dr. Kings legacy. Without putting you on the spot, any suggestions from your experience in promoting a cause? Im in new territory. Want to have some fun but don’t want a riot.Wish i had a hundred DVD but will hand out paper for now. With MLK Day around the corner, I have been commenting at different publications. 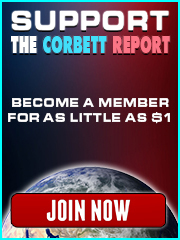 I encourage other Corbett Report followers to do the same. In December 1999 at a Federal Memphis Civil Court, a jury of 12 found that the government had conspired to assassinate Martin Luther King, Jr. The transcripts of the trial are on the King Family website. Dr. William F. Pepper, a personal friend of Martin, was the attorney for the King Family in this trial. The updated story can be found in this April 2017 interview by James Corbett with Dr. William Pepper. This is an excellent piece. Thanks for the time in having parlayed and synthesized all this information together. I recall during the initial Syrian “uprising” when the MSM reports constantly referenced “government snipers” but we saw youtube clips of strangely white looking snipers rolling on rooftops (a small clip of which was featured in the video) that were shot by the locals. The “death squad” component to regime change is so key in fomenting discord and riling up both sides that it often goes unnoticed. Also, thanks for bringing this back full circle to Negroponte and the “Salvador option” which is when the US establishment was convinced of the benefits this brought for their agenda. it’s because they know there’s a majority percentage of the people who simply refuse to believe that these age-old war tactics exist and that they’re being used against enemies foreign and domestic, meaning Them, peace-loving civilians, the kakistocracy’s true enemy, on a daily basis. in a warm fun fuzzy feel-good way? I gotta get my sh%t together…!! If facts and energy could do it, public retractions and rejections of the Warren Report would have rolled down like a river after the release of the Zapruder film. HomeRemedySupply and the amazing Truthers like him would have won final victory in the 911 truth war years ago. The amazing thing is that the movies and TV do communicate Daddy’s malevolent possibilities — in TV and movies. This is then used to mock any “conspiracy theory” that this is happening in reality! ummmm… Captain Phillips! no…a series! 24! or no Homeland!! Wait,wait, wait! The Americans! oh…jeez… hard to choose…Narcos! Hannibal!! Dexter!? Lucifer!!?? The Walking Dead?? What d’you recommend?? Speaking of “Captain Phillips”, after watching the movie on TV about a year ago, I was curious to know the route the ship took and so looked it up at wikipedia. A most intriguing thing was that on one particular voyage there were two former navy seals on board, hired to protect the ship and were found dead. It was said they died from excessive partying (what are the chances of two dying from the exact same cause?! ), but those who knew them said no way, one of them didn’t even drink. If this was big news, I missed it entirely the first time around, but am very curious to learn what lies beneath. Actually I chose Captain Phillips because it is a film I particularly abhor (I’ve only seen the trailer which was enough to aggravate my ulcer). It represents an archtypical example of Hollywood whitewashing of imperialist crimes against the Somali people. I don’t know if you’re aware of this but the Somali people had appealed to the U.N. for help against toxic waste dumping and massive illegal fishing in their waters. But I guess they didn’t realize that it was real big business and the U.N. thus duly ignored them. Until they decided to condemn the Somali pirates for taking matters into their own hands. Anyhow I’ll include a link if you’re interested. Nothing new under the eugenical sun. My ignorance is staggering, manbearpig. In spite of weaning myself from mainstream news over the last year and a half, I’ve still got a lot to learn. I really appreciate your response and the effort you put into retrieving and posting these incredibly in-depth sources. The nagging question that kept cropping up as I read/watched was, how is it that the international community both dumps hazardous waste and fishes the same waters? Surely poetic justice must be evident in the declining health of the patrons frequenting these wealthy European restaurants preparing the contaminated food? Add to that, marine life migrates, so the damage these enemies of mankind and creation are inflicting is certain to go way beyond the reach of Somalian waters. While I don’t question the validity of this disturbing revelation, I’m baffled by the shortsightedness and contradiction of the perpetrators. This is a must-read post. You explain the dilemma extremely well. I often see it when talking to folks, even the highly intellectual types. Protesting’s been totally assimilated into French culture. It’s mostly just a way of letting the engaged population blow off steam…I used to adapt novels for the theater in an attempt to humorously convey political ideas. That was fun. Anyhow, now I have to go prepare a few vocabulary lists for the coming week. Take full advantage of your Sunday evening and I look forward to reading your future posts! What’s the current retirement age you have going on there? Like many European countries it seems to be age 67. La France est l’un des rares pays à avoir trois âges légaux : le minimum (62 ans), le maximum (70 ans), et celui de la retraite à taux plein (variable, maximum 67 ans). France is one of the rare countries to have three legal ages: the minimum (62 years), the maximum (70 years) and that of full rate retirement (variable, maximum 67 years). 60 to 62 for those who have made social security contributions all their working life. They are planing to raise it here from 65 to 67, for men. Women get a break, some 4 years, which is supposed to even out during the next 15 years, or such. At which point, in year 2037 women and men are supposed to be equal at 67. 15 years of social security payments are required. Since the entire system is prone to failure at any given point, they’ll probably rush this deadline and take additional 5% tax, taking us to total 20% only for social security, which is extremely insecure in itself. 50% tax is the norm in Europe, one has to wonder where’s the breaking point. Excellent report and i have enjoyed it… However.. it is BEATING A DEAD HORSE. The first time i heard the term Beating a Dead Horse I was in the UK, which made me wince, as we Arabs love our horses just as much as we love our palm trees. Now, off course i understand what the term means, and i think it applies to this report… here is why..
False flag events have been credited for starting WW2, Vietnam war, Pearl harbor, etc etc, and many of those events are officially documented by the States and Governments. So, when someone asks IS 9/11 A FLASE FLAG EVENT. I just don’t engage anymore for those reasons. It is obvious that bears shits in the woods (this one i learnt in the USA), and it is even more obvious that 9/11 is a false flag if you go back to history a 100 years or more. So, the problem is not people can’t see it.. The problem is people DON’T WANT TO SEE IT. It is like opening the door on your parents while they are making your brother.. it is a fact that you would rather forget and pretend that it does not happen. This comes from engineers, by the way. Highly educated people – some of the best specialists in their field. Highly paid people (10.000+ Euros/month), some of them having a past with Exxon and similar companies, so obviously they have made their peace with having to shut up at the right moment to earn that kind of money. This is hard to counter. The problem is that I’m in the same boat somewhat and recognized a decade(!) after I got employed that my employer is an (cyber) arms supplier, too (it’s a big corporation). As I’m rather old I simply can’t quit. I wouldn’t get a job anywhere anymore. My solution: I took my “media budget” (newspapers, magazines etc. ), increased it and now spend it on or donate it to people like James: Thoroughly anti-war but pro-info! So the irony is that James now gets funded in part by his “enemies”. But this is the only serious funding possibility available anywhere to anyone, and that fact, applied to James or Al Qaeda or the CIA or the IRS or my own bank account, is the essence of “irony” itself – that is, iron age reality. But great choice! Ironically, for the first time my own main client company just started looking at Federal NIST compliant business. James and others like him may feel the benefits of my attempt to atone in the future. VoiceOfArabi, I agree in part. In fact, your post and ManBearPig’s above align. However, there is a target audience which could be receptive to these recent Corbett Iran/Crisis videos. One example of a potential target audience are the old Ron Paul election supporters who may be following a pro-Trump media pundit (AJ). These videos just might jostle their mindset. It is difficult to say who might have a light bulb moment with these. They are good. Even in our 9/11 Group, I am amazed at the diverse views…some folks are very pro-Trump and some are stuck Democrats who even supported Hillary. Go figure? I can’t. It is beyond me, unless it is the Fluoride in the water or cell phone radiation frying neurons. What VofA is talking about is called “an assumptive close” in sales, and yes it is often best, but it depends on people knowing at least a few things first. so, there is a reason why we refuse to accept and acknowledge that our parents “did it”.. there seems to be a similar thought process for majority to accept that our own government is busy “shafting us” (learnt “shafting” in the UK 🙂 ). So.. I am suggesting we understand the human psyche first to understand the barriers and the best method to get to people! otherwise all our effort is going waste. interestingly enough… British Government in the 1950’s where doing studies on dissatisfaction and anger to better understand how to utilize it to enslave the colonies further. There was also a significant Black Block and the G20 summit in Hamburg 2017. It was even announced as “Welcome to Hell”. Here is the “official” Home page https://g20tohell.blackblogs.org. One must wonder why the authorities did not act on that announcement, since it was already clear from that tag-line that violence could be expected en masse. Next question is why was the G20 summit held in Hamburg anyway. Hamburg is known to be a place where there is a significant leftist scene and from that fact alone violence could be expected. This fact is will known in Germany. So holding a summmit right there was already a provocation itself. If one would have wanted a peaceful G20 in Germany, München or any city in Bavaria would have been the place to go.